Note how I am carefully and surreptitiously improving one of them by adding snowball tufts to his hair. 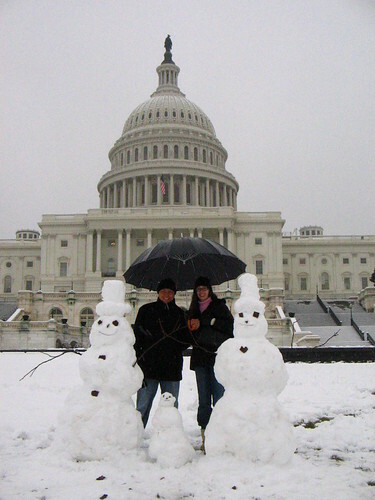 Also thanks to the couple from Wisconsin who took our photo with the top-hatted snowperson family. More snowy DC photos here.